A tasty offering from Speyside distillery Aberlour, first released in 2017. This whisky has been in a mixture of American oak, European oak and Sherry casks, giving it a lovely balance and complexity. 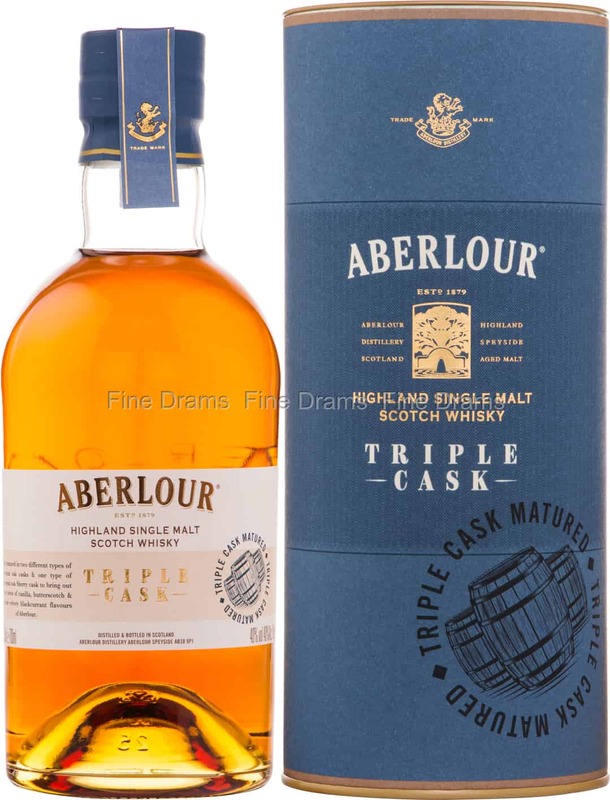 Aberlour Triple Cask delivers flavours of bright vanilla, toffee, dried fruits, plums, red berries, fresh green apples, woodspice, citrus rind, light oak, chocolate and slight buttered toast. A very pleasing bottling that would be a perfect daily drinker for Speyside drinkers.